Ciao from Sicily! 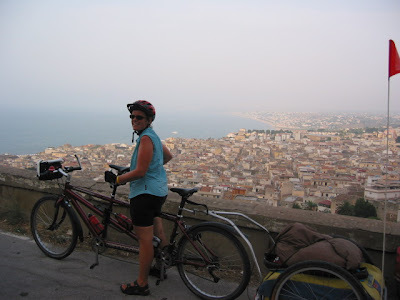 We came over from Civitavecchia to Palermo on a 12 hour overnight ferry on 1st of August. 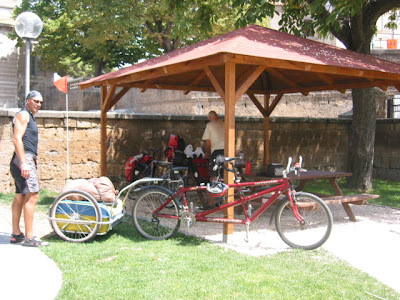 This first photo is our siesta/lunch stop en route to Civi. 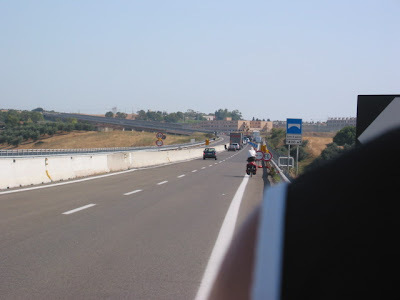 It is very hot in Sicily (and Italy) and so the best plan is to ride as early as possible and then make a long lunch stop in the shade for a few hours in the hottest part of the day. The next shot is our friend Gilmo as we headed to the ferry - taken over Carl's shoulder. 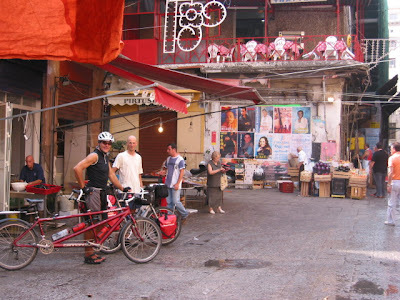 The next photo is taken at a small market place - the guys are standing in front of a fish table. It is hard to capture the essence of this market but it was full of colour and character!! 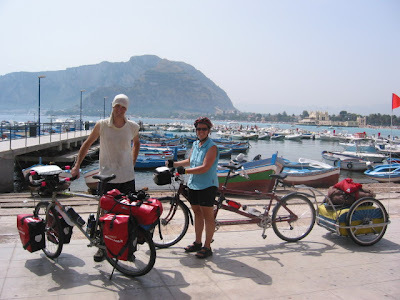 On our first day in Sicily we rode around the coast road and passed through Mondello (Sandy with Gilmo) and climbed out of Castellamare del Golfo (Sandy) and into our camping at Scopello. We had a swim at 7.30pm and it was delicious. 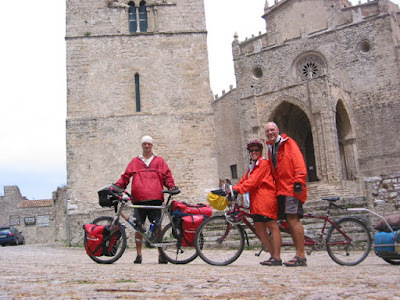 Day 2 saw some welcome rain showers in the morning to cool the otherwise searing temps as we climbed 500m straight up to a fantastic village called Erice. 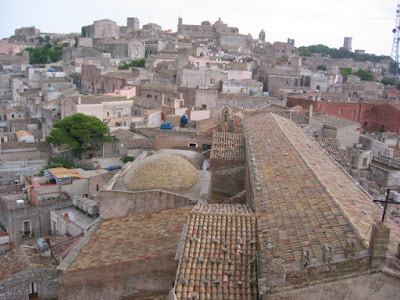 It has a neat church and great cobbled streets and fantastic views. Unfortunately our battery went flat due to the number of photos we took that day, so we'll have to get the ones from Gilmo and put these up later. We have spent a few days in Marsala on the west coast with Gilmo's family and have experienced their wonderful hospitality. 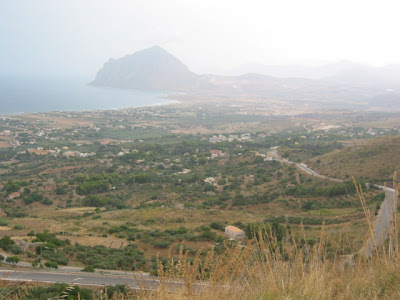 We must drag ourselves away tomorrow - Sunday - and continue on through Sicily for another week.